St. Mary’s Alex Wicks heads upfield for some rushing yards during the first half of Friday’s MIAA B Conference football match with Boys’ Latin School. Getting the bulk of the work with teammate Marcus Marshall nursing an injury, Wicks rushed for 223 yards, helping the 20th-ranked Saints to a 20-17 overtime victory over the Lakers to remain undefeated in league play. Alex Wicks’ breakthrough game came at the perfect time for him and a raucous St. Mary’s Homecoming crowd at Pascal Field in Annapolis on Friday night. Despite trailing most of the game to Boys’ Latin School in the MIAA B Conference tussle, Wicks and the 20th-ranked Saints earned a hard-fought 20-17 overtime victory over the Lakers to remain a perfect 4-0 in league play. The 5-foot-9, 175-pound junior, who mostly splits time with senior Marcus Marshall in the St. Mary’s’ backfield, showed that he’s ready for prime time after shredding a pretty stout Boys’ Latin defense for a pair of touchdowns and 233 yards on 29 carries after Marshall was hampered by a leg injury that forced him out of the game in the second quarter. Wicks’ big-play ability was front and center, considering that his two TD runs were for 47 and 76 yards, respectively. Even with his heroics, the Saints (5-3 overall, 4-0 MIAA B) were seemingly bound for their first conference setback — and their sixth straight setback to the Lakers — late in the fourth quarter, until senior linebacker Ian Krampf recovered a fumble at the BL 25-yard line with his team behind, 20-17. Eight plays and three Wicks’ runs later, St. Mary’s senior kicker Dominic Donohue drilled a 24-yard field goal with just 13 seconds remaining in regulation to tie the score. A sack by BL sophomore safety Garrett Glatz prevented the Saints from reaching the end zone on the sequence. History repeated itself in overtime when Wicks carried the ball three straight times to reach the Laker 2-yard line before Donohue converted from 19 yards to put the Saints ahead, 20-17. The Lakers (3-5, 2-2 MIAA B) were in a similar situation on their possession in OT after St. Mary’s senior linebacker Grant Hines pressured sophomore quarterback Matt Greaver into throwing an incomplete pass on first down. Greaver’s keeper then picked up 7 yards before Krampf tackled Laker senior running back Josh Pugh for a loss on third down to set up a 22-yard field goal by strong-legged kicker Sam Grace, who missed wide left to end the game. After a scoreless first quarter dominated by defenses, both teams ramped up their ground games to get on the scoreboard. Greaver directed an eight-play drive capped by his 6-yard scamper for the game’s first touchdown. Wicks then tied it on a 47-yard sprint down the left sideline to briefly tie the score until BL senior cornerback Carlos Davis’ 35-yard pick six put the Lakers back in the lead, 14-7, with just under four minutes remaining in the opening half. Wicks struck again on the second play of the third quarter, showcasing his speed on the 76-yard bolt to the end zone to knot the score for the second time. Grace finished an 11-play drive with a 24-yard field goal as BL retook the lead with 10 minutes left in regulation. After holding St. Mary’s on downs at their own 42, Krampf’s fumble recovery shifted the momentum to the home team — and it capitalized. On Friday, there was no question who was scorching the Lakers. The win cemented the Saints’ berth in the conference final with games against St. Vincent Pallotti and archival Severn School still on the schedule. 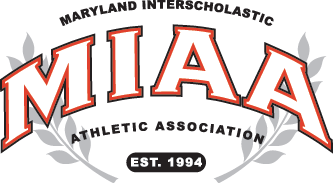 The Lakers can still salvage a respectable season if they can prevail in their final contests against Archbishop Curley and archival St. Paul’s. Pictured above: St. Mary’s Alex Wicks (#2) breaks into open space for some of his 223 yards rushing, as he led the Saints to a 20-17 overtime win over Boys’ Latin on Homecoming night in Annapolis.